These impressive crystal claret jugs are sure to grace any awards presentation and be cherished by the recipients for years to come. Hand made in lead crystal, they feature a distinctive curved handle and an elegant tapered stopper. 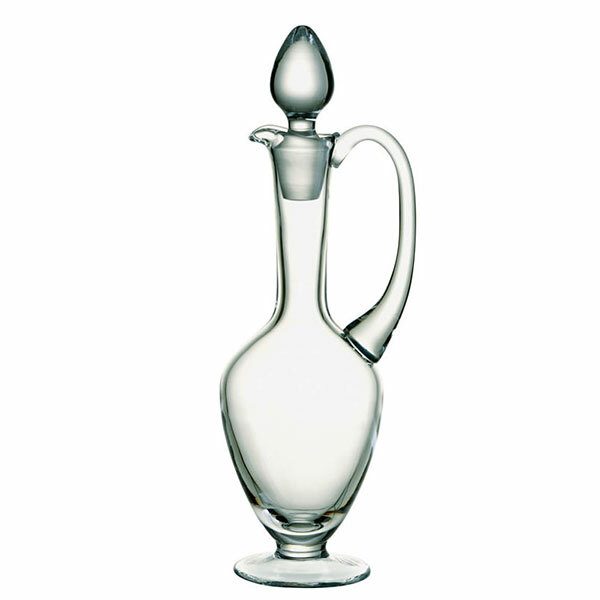 Standing some 370mm (14.5in) tall, these stylish decanters make a big impression. They can be engraved on the body of the jug and are offered here with low-cost text and logo engraving. We also offer low, fixed price UK delivery even on these substantial (these claret jugs weigh 1.2kg) crystal awards, so buy online and get best prices, low-cost engraving and fixed price delivery. An optional fitted and lined presentation box is available for this claret jug decanter.